This birthday card was made for my Neighbours DIL Natalie. 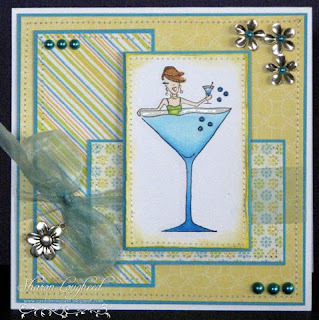 The image is by Inky Antics - I've had it for ages but thought I'd get it out again! 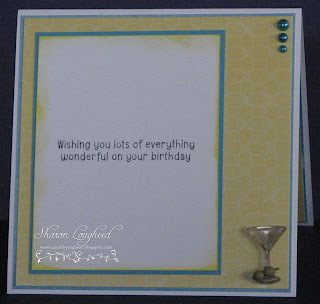 The papers are from the Provo Citrus Stack Paper Pad - along with some white and black cardstock. 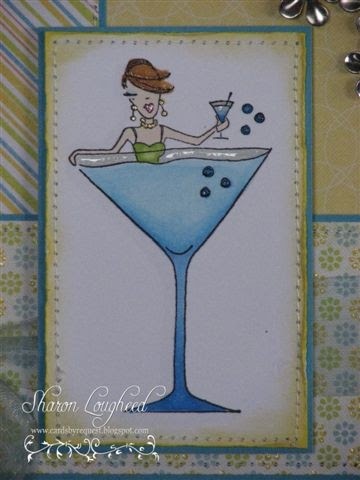 My image is coloured with Copics and has touches of spica pen - for added glam and some dimensional magic to the top of the glass and bubbles. As you can see in the picture below aslo. I also had this martini glass button that I really wanted to add - so I've used it in the centre of the card. 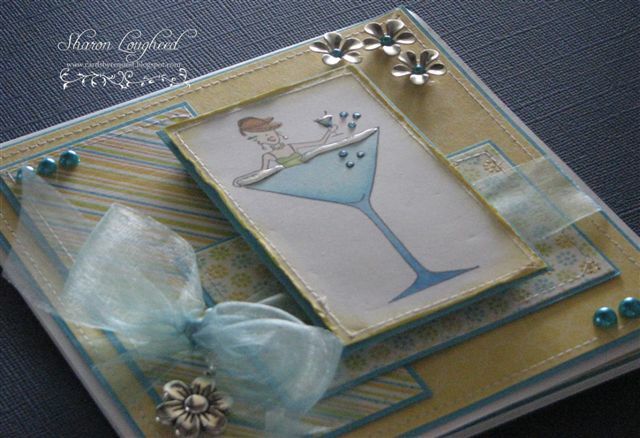 The pretty blue pearls and silver flowers are from Creations in Paper at Montville. The ribbon is from my stash and the flower charm I picked up at the papercraft show from my2angels. 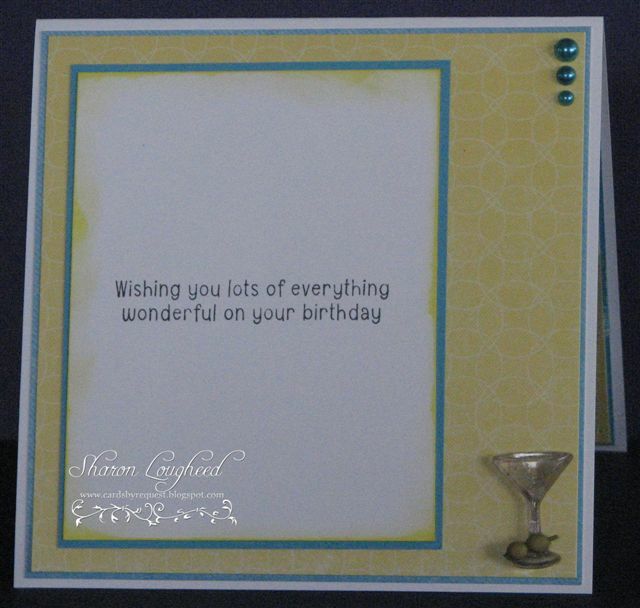 I'm going to enter this card in the Secret Crafter Saturday Challenge - Anything Goes. I also have a blog candy up on my page this week you should check it out .